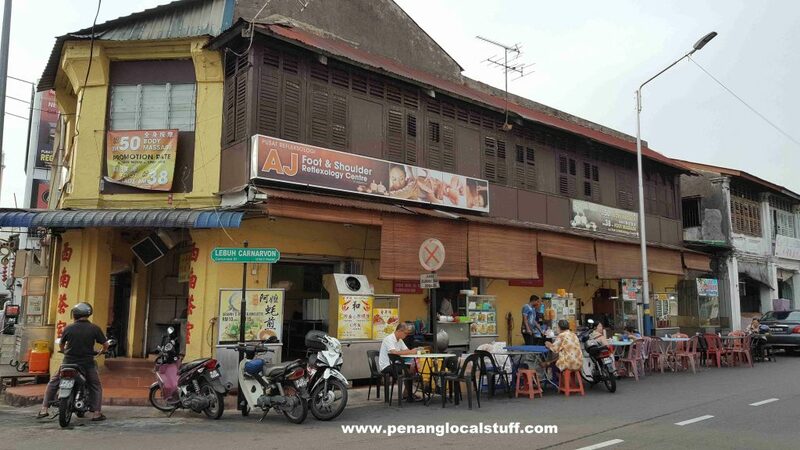 Sai Lam Coffee Shop (Kedai Kopi Sai Lam) is an old, corner coffee shop located at the intersection of Lebuh Carnarvon and Lebuh Chulia (Address: 8, Lebuh Carnarvon, 10200 Georgetown, Penang). 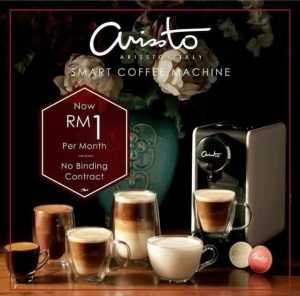 Ah Gu stall operates within Sai Lam Coffee Shop, selling Wan Tan Mee and Beef Soup Mee (beef soup noodles). 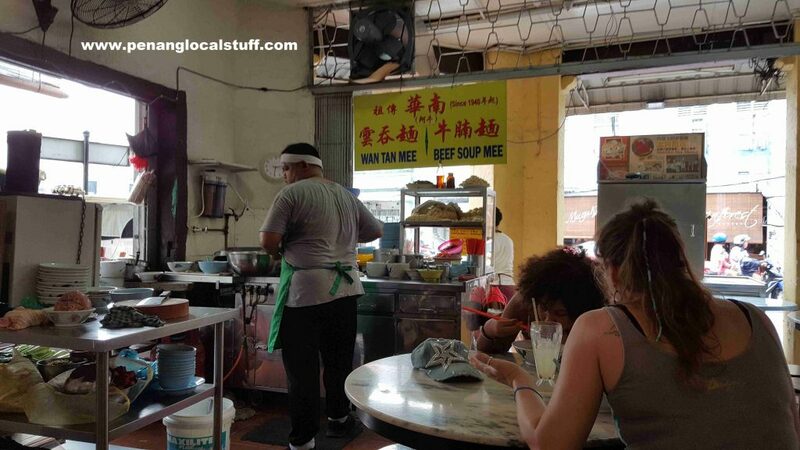 The wan tan mee at Ah Gu stall is a favourite of the locals here. 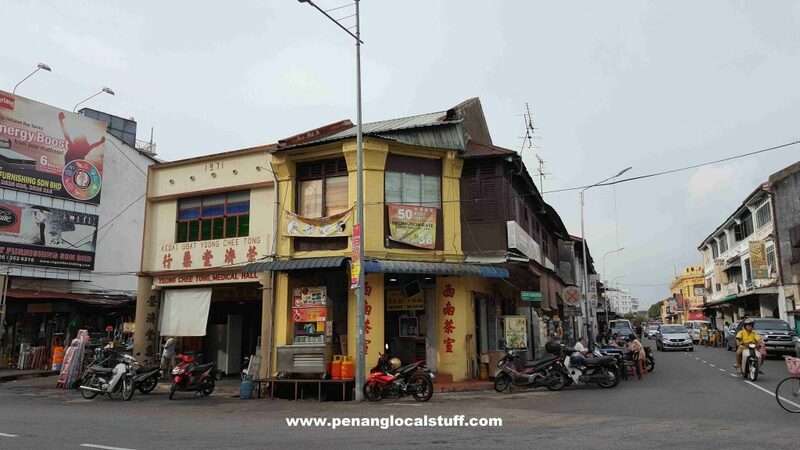 It is a well known place to have wan tan mee in the heart of Georgetown. 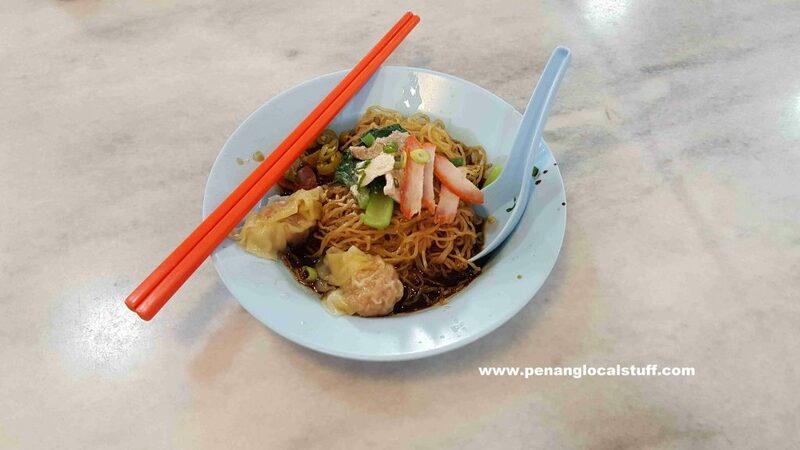 The wan tan mee tastes good, and comes with “wan tans” (pork dumplings) that are bigger compared to other places. The “wan tan” (pork dumplings) here is full of meat and is flavourful. Ah Gu stall also sells beef soup mee (beef soup noodles). 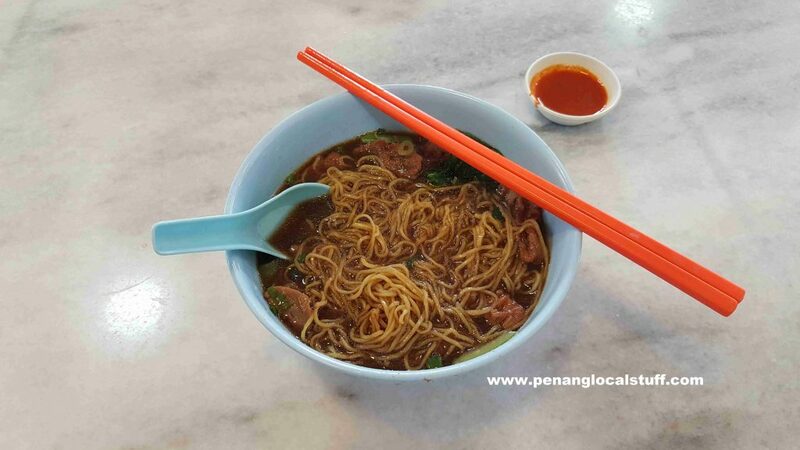 It is a bowl of beef soup with wan tan noodles in it. The beef soup is of the “stew” type, and is brown in colour. The beef pieces are nicely cooked and soft. It is delicious, with rich meaty flavour. 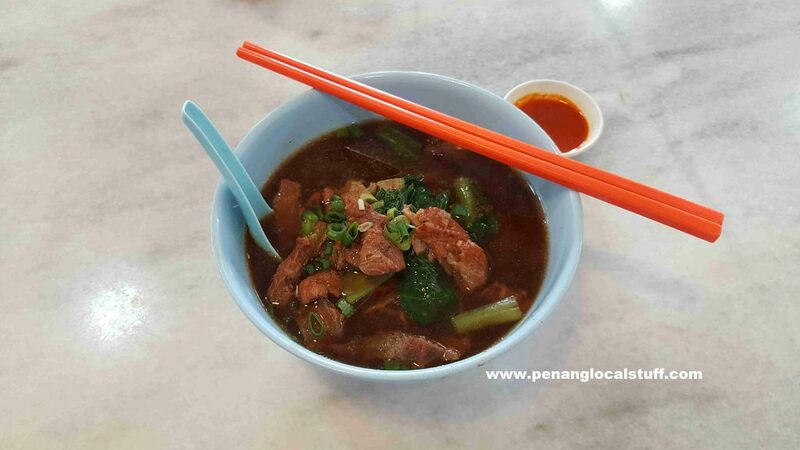 Do take note though that the beef soup noodles here is vastly different than the one at Kafe ST Loo – both are good.